SG 20 - High performance scanning! Important hospital verification processes don't need to impact productivity. Minimize the time and effort to read bar codes with the fastest 2D healthcare scanner on the market. 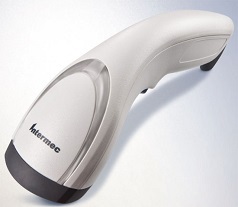 Designed with ergonomics and the hospital environment in mind, the SG20 healthcare scanner features a housing made of disinfectant-ready materials.